Belgian Milk-Woman', 1809. 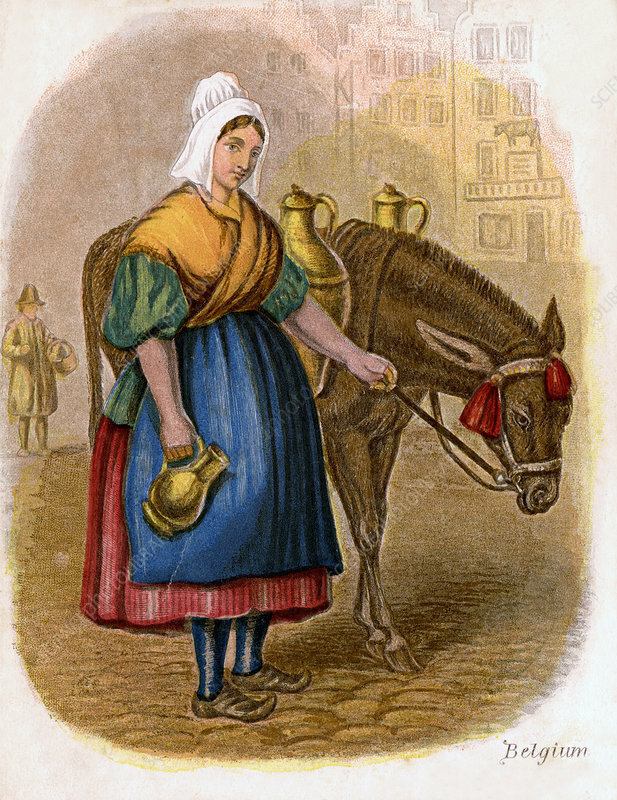 Here you see the image of a milk-woman with her brass milk pails, which she keeps bright and clean and are carried about the town by donkeys in panniers. Artist: W Dickes.